In a world fuelled by technology, we’re bombarded with even more screens, flashes, apps, and all sorts of stuff we don’t understand. Of course, all of this technology is a great advantage to our lives – because really, what would we do without Instagram? However, we often find ourselves living our lives through our phone screens, rather than actually seeing what’s in front of us. Unfortunately, we’ve grown so attached to our phones (AKA our babies) that we just can’t seem to spend a minute without them, which means we’re obsessed with taking photographs. We take photographs of our food, of our surroundings, of our friends… and of ourselves. 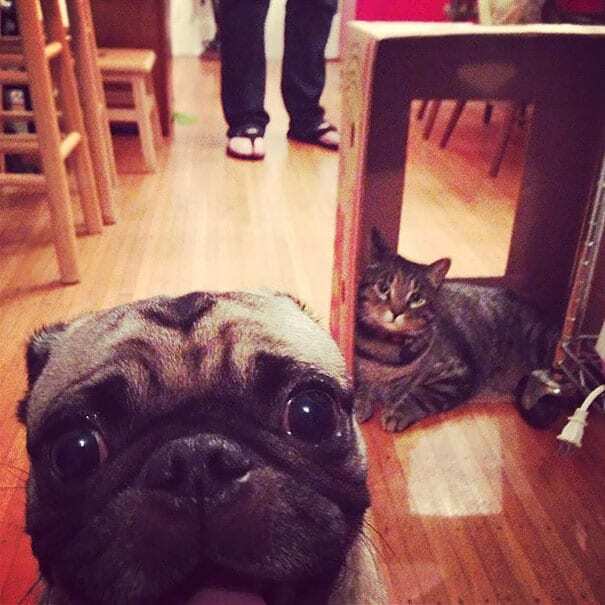 In this day and age, we ALWAYS have to be ready to take a selfie. We have to have our makeup on point, we have to have our hair primed and perfected, and we have to make sure our smiles are ready and raring to go – because there is always a chance you could just happen to bump into Orlando Bloom on the street. Sure, this is a (very, very) small chance, but would you really want to bump into Orlando Bloom and have spinach in your teeth? We think not. 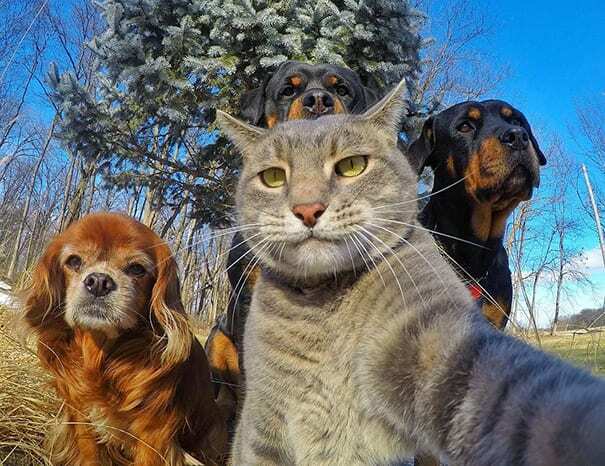 There’s nothing better than getting the whole crew to fit into one dope selfie – and these dawg’s (and cat) look like they’re about to drop the sickest album of 2017. 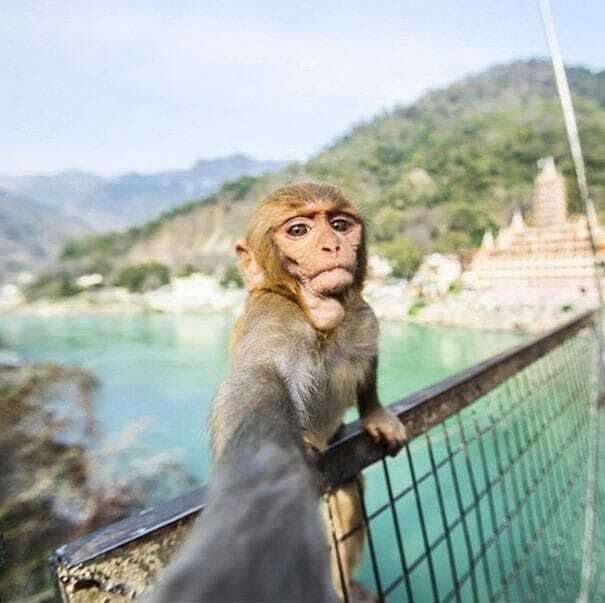 These guys don’t need to smile; these guys don’t need any gimmicks, they can show they mean business by their epic selfie angle and their can-do attitude. You know how you can really tell they mean business? When have you EVER seen cats and dogs get along this well? Answer: Never. 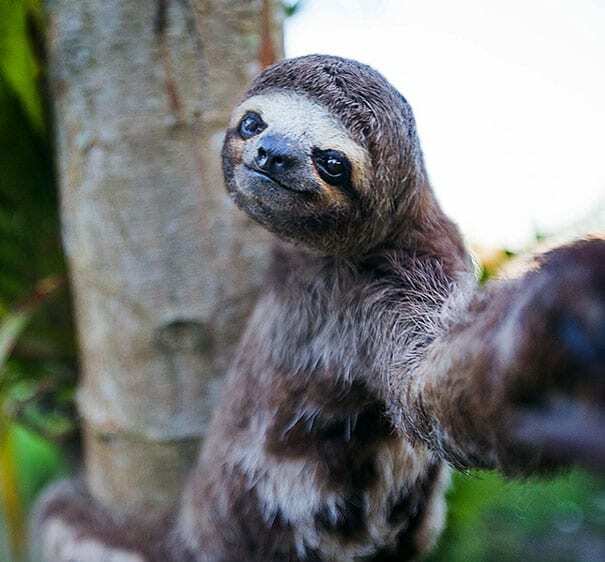 We just love sloths, and this guy’s cool points have taken him off the cool-scale (just look at that slick hairdo). However, we can’t help but feel a little jealous of this guy. 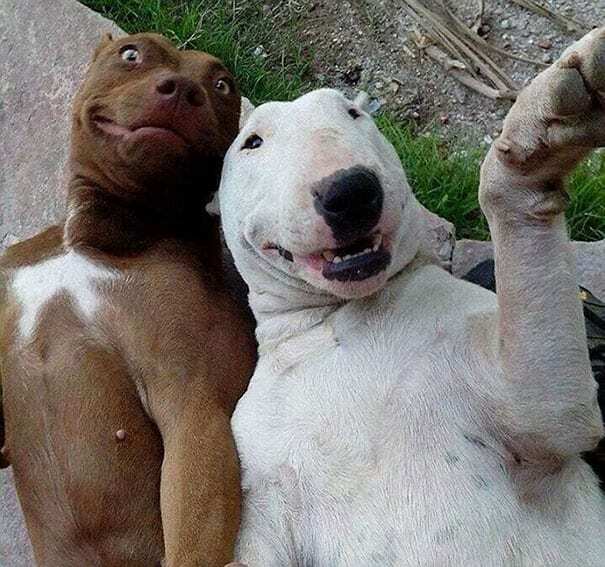 Sure, he’s taken a pretty decent photograph, and yeah, it’s pretty hilarious…but why don’t any of our selfies look like this? By this point, our phones would have toppled down the tree, landed in a pile of manure, and we would have been stuck up there for hours. This guy has absolutely nailed it. Okay, so we have a few questions about this photograph. 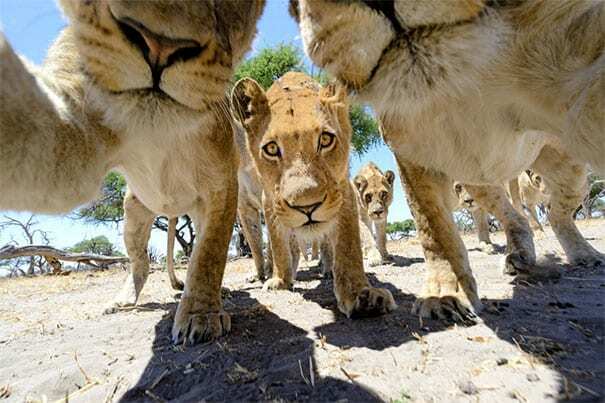 One: if lions don’t have thumbs, how are they holding the camera? Two: why does that middle lion look like he wants to eat us? Despite this selfie absolutely terrifying us, you have to admit, this is one of the coolest photographs out there. What’s even more impressive, is that they all know how to work the camera. Look closely, because every single one of them is looking right at you. They were born to be models. 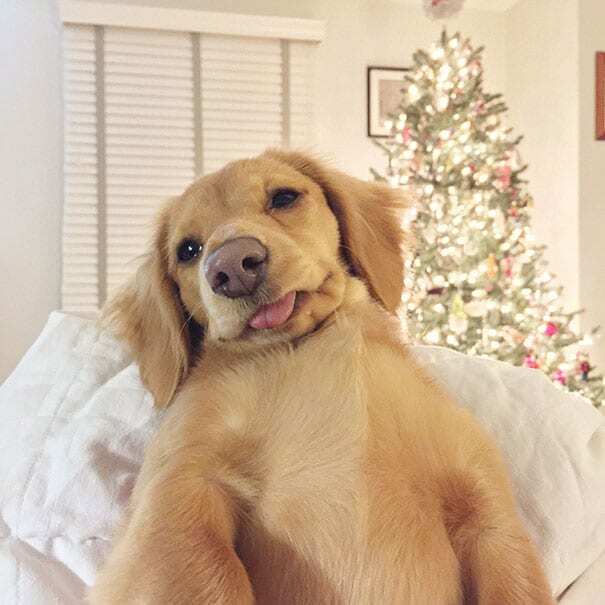 Let’s be honest, we all have our own ‘selfie pose.’ Whether it’s rocking the duck lips pose, the slug pose (y’know, when you take a picture underneath your chins and look like a slimy slug), the beauty pose, or the side pose, there are so many to choose from. If you choose to adopt the side pose, you need to work out which side is your best – because there’s always one side of your face and hair looks better than the other. It’s science. 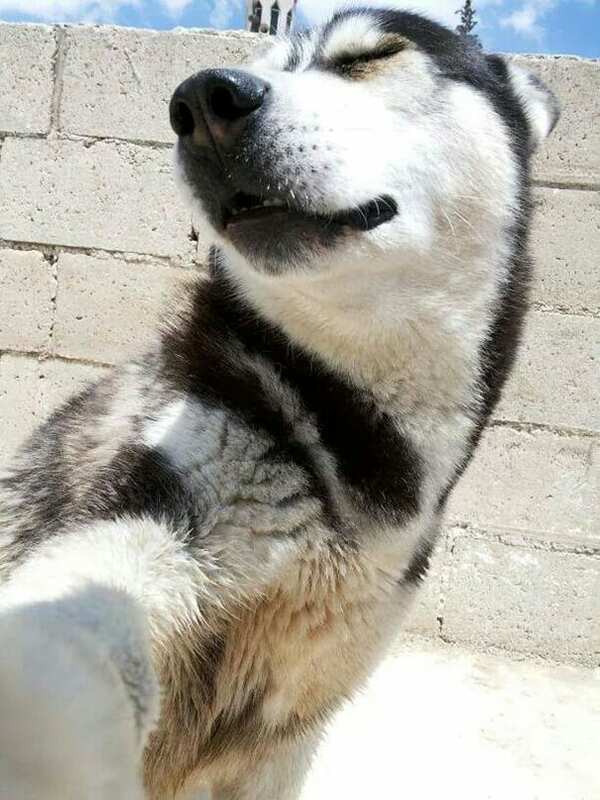 This husky knows. Move over, Nicole Kidman – this pug is looking to take over your crown. 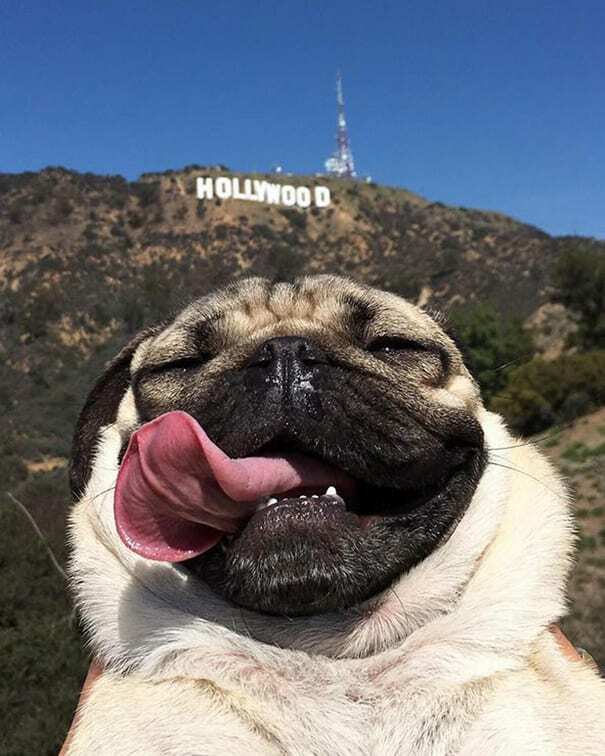 No trip to Hollywood would be complete without a selfie in front of the Hollywood sign, and this pug managed to capture the perfect moment of fabulousness and cool-as-cucumber. This dog looks like she was made for the spotlight, and even looks like she’s wearing his own sassy fur coat. All she needs now is a pair of shades and a Gucci purse to complete the look. Let’s be honest, we all hate Mondays. We wake up feeling groggy, we can barely open our eyes, we ate waaaaaaay too much at the weekend and are now paying the price, we wish we could lay in bed and sleep all day – and we have absolutely no energy for anything. Until now, we’d been unable to show the Monday blues in one picture… but this cat has got it just right. Sure, we know we have to get up. Will we do it willingly? Absolutely not. 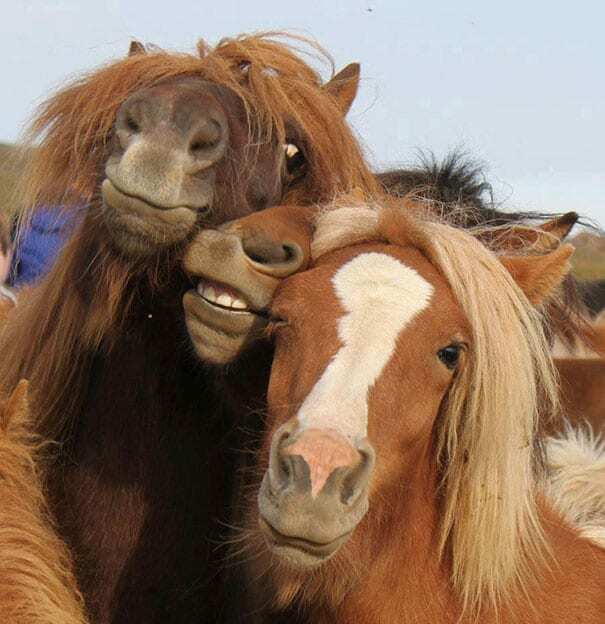 We’ve already briefly covered the various selfie poses in the world – and the duckface is one of the most famous. The duck face is pretty difficult to master, but once you get it right, you’re onto a right quacker. 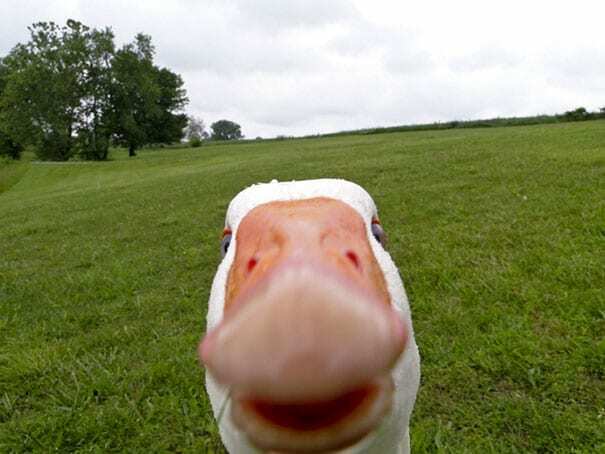 If you’re ever unsure of whether you’ve got the duck face right or not, just look at this guy for guidance. Make sure to NEVER do what this guy is doing, unless you want to make your nose look 10x bigger than it already is. There are some poses that are always Instagram-worthy – and you just can’t go on vacation without taking a few iconic selfies. First of all, you need to grab your selfie stick and take a photo of you and your bae frolicking in the ocean. Then, you need to take a slightly seductive lounging-by-the-side-of-the-pool photo that will show off the bikini body you’ve been working on for the past few months. Need an example to help you get started? 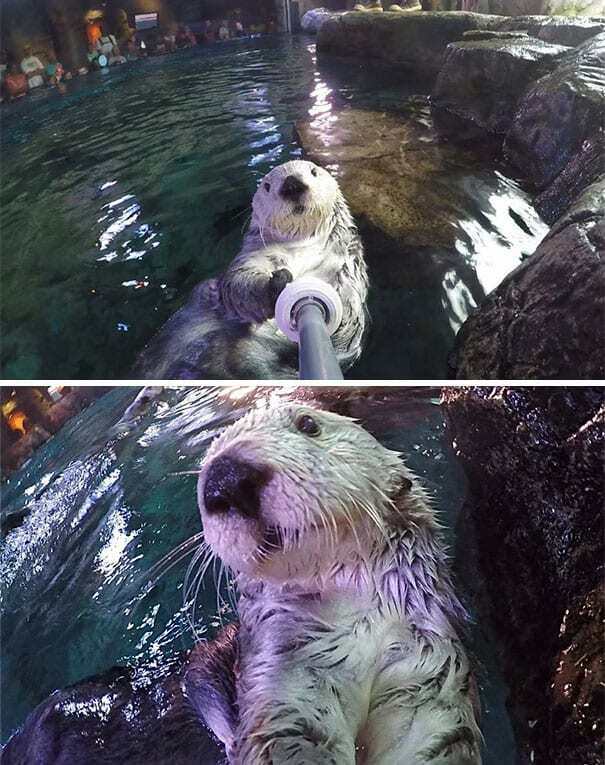 Just do what this otter does. When you’re at that awkward stage between kitten and cat, there’s nothing better than hanging out with your friends, doing each other’s hair, eating your body weight in chocolate, having a few drinks, getting into your cat-jamas, and laughing the night away with your best pals. But did you really go to a slumber party if you didn’t take a picture of your slumber party? 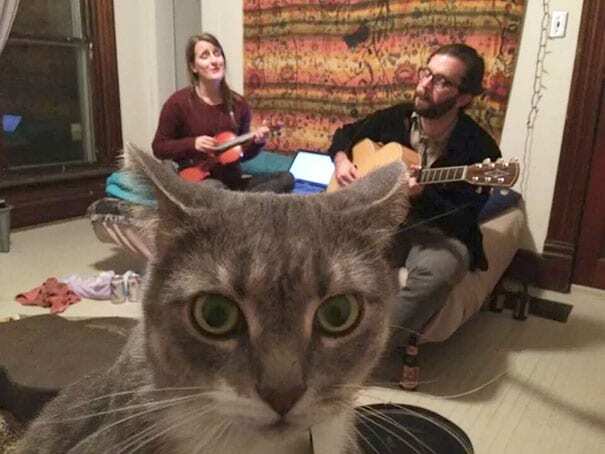 Luckily, this kitty-cat managed to snap one just in time and wrote an awesome caption to boot. If your friend ever leaves their phone unattended, it’s pretty much the law that you must sneakily take their phone off the table, and take about 1000 selfies on it. 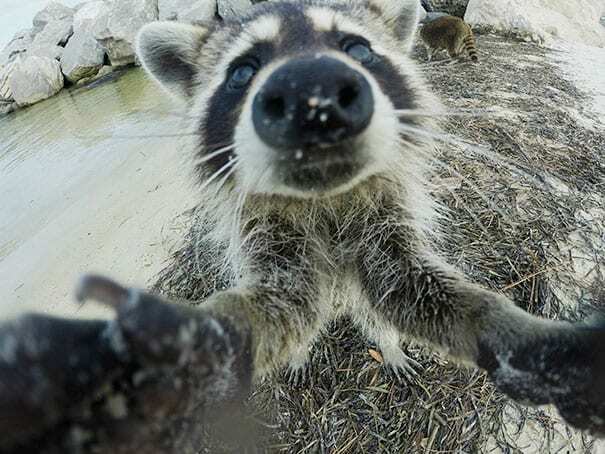 However, these aren’t selfies that show off your good side or selfies that will make your friend go ‘awww’ when they finally realize that you’ve clogged their camera roll. 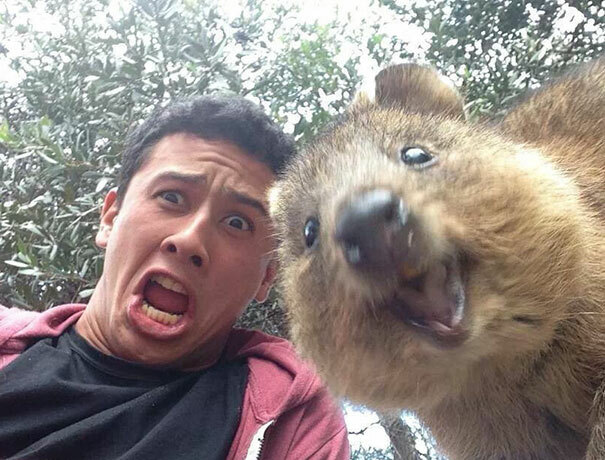 Instead, these are the kind of selfies that will make your friend go… ‘what even IS that? !’ And this is exhibit A.
There’s nothing better than watching a proud mother fill her news feed with beautiful pictures of her kids – especially when they’re super cute (just like these little puppies). 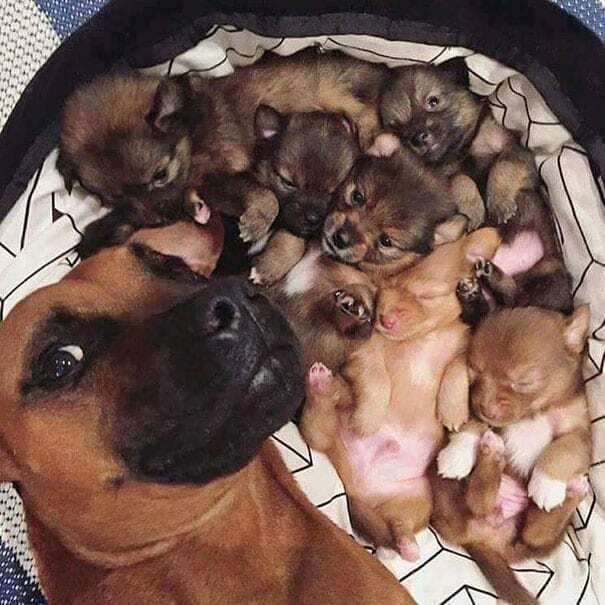 However, sometimes it’s nice to get in on the action too, and this momma doggy wanted to show off the fact that she made those little balls of fluff and took a selfie of them all together. Although this is pretty darn cute, we can’t help but notice there’s also a little hint of ‘hurt them, and I will hurt you’ in that look? The best part about any modern phone camera is that it doubles up as a mirror if you don’t have one close by. 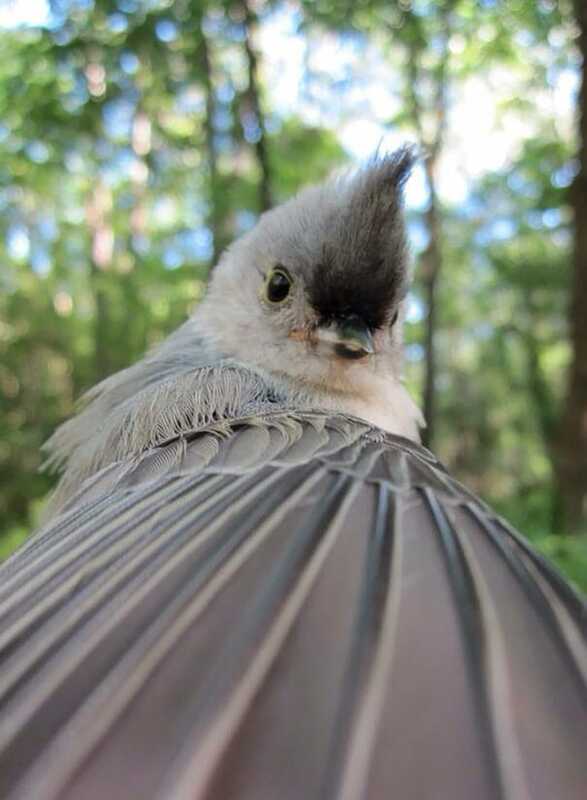 You can flip the camera, and check out how swish you look – or there could be a chance you may regret taking a look at yourself, because then you realize that you should have, in fact, brushed your hair that morning. 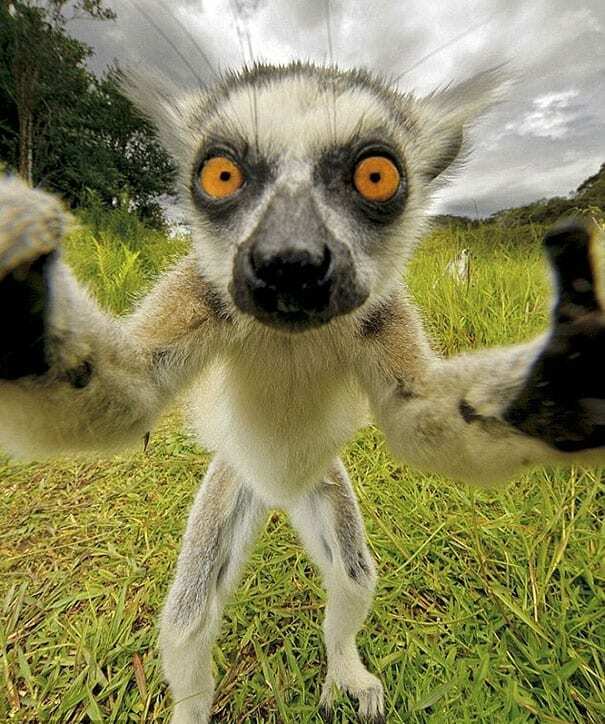 Nevertheless, it’s not just humans who need to check out their appearance, because this Lemur just wants to check whether her eyeliner is on point. (Of course, it is). Okay, okay, okay… anyone else just squeal a little? This is just too darn cute. 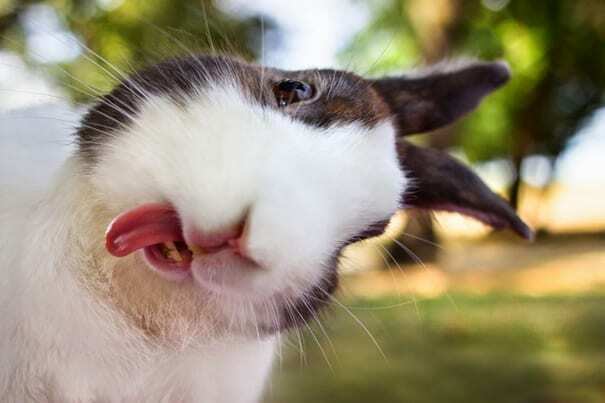 In fact, this selfie is this rabbit’s photograph for her online dating profile – and we think she’s got it just right. She’s showing off that beauty and those long lashes. She’s showing off a little of her body. She’s got the background just right (and has some pretty impressive focus skills), and she’s just showing a little playfulness with that tongue sticking out. We’d definitely swipe right. Dear diary, the heist was a complete success. Although I didn’t think it would work (my height and my obsession with acorns can be a slight disadvantage), I pulled through and completed the mission. I distracted the pigeons that were watching, I overpowered the human and knocked him to the ground, and I stole it – right out of his pocket! Then, I took a photograph to send to the boss, to prove that I had indeed apprehended the ‘object of interest.’ Result. If you have a dog, you may have noticed that over the course of your friendship, you’ve grown even closer and created a bond that can’t be broken. 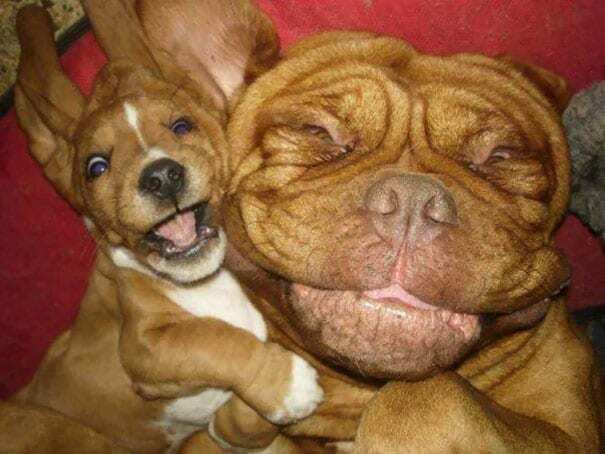 Just like human relationships, this can often lead to similar mannerisms – and this dog and owner seem to have spent a *little* too much time together, as they look pretty much identical. Of course, one is a little hairier, and the other speaks in a weird language, but you know what we mean. 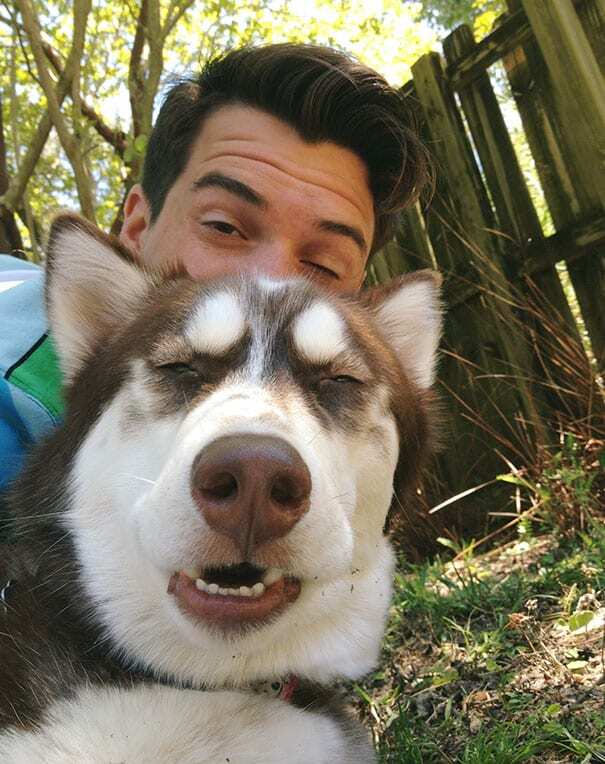 When you’re taking photos with your best pal, it can be so easy to get overexcited, and you normally spend most of your time taking photos with your eyes shut – or will result in the smoosh face. What’s the smoosh face, we hear you cry? Well, the smoosh face is pretty simple to achieve. All you need to do is smile as wide as you can, and bring your face right up against your friends’ face. Et voila, you have the smoosh. There’s nothing we love more than lounging around in the summer months, with our favorite people by our sides, and falling asleep under the sun’s rays – you really don’t get more relaxed than that. But who says your favorite people have to be humans? This guy has got it just right. 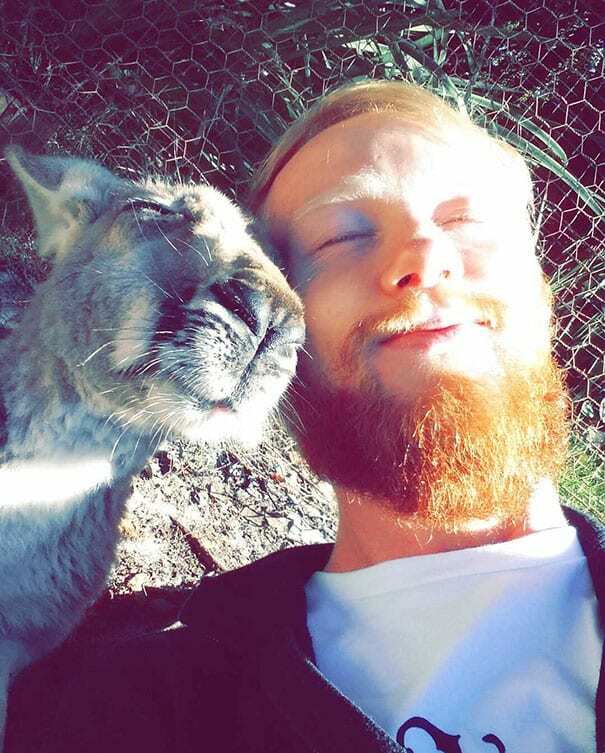 He’s chilling with his pal Joey (the Kangaroo), and the two of them look ridiculously content. Of course, Joey just had to take a photo of this special moment. Rightly so. Is there anything cuter than a Koala Bear? We think not. 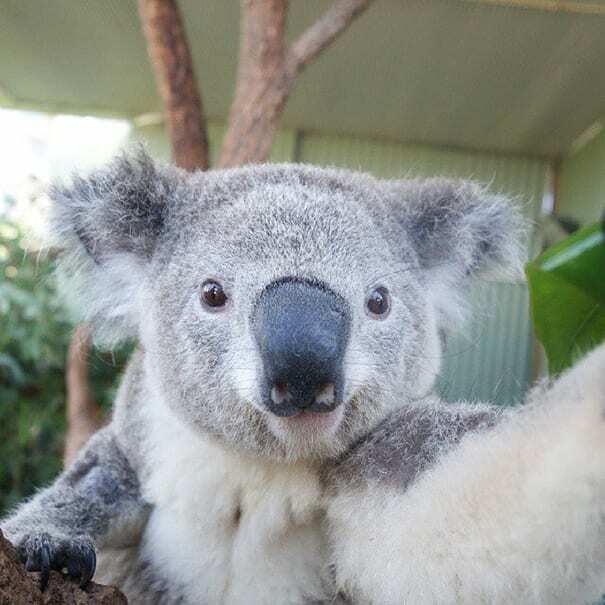 However, it seems like we’re not the only ones who thinks they’re cute – as this little Koala definitely knows how to work his angles, which makes us think he’s done it before. He totally knows he’s the business. We can’t help but wonder, though…do you reckon this little Koala is Koalified to use the camera? It’s an expensive piece of equipment after all. Nowadays, cameras and phones are so darn complicated. With countless buttons, apps and settings, it can be hard to really know what we’re doing with them (even if we’ve had them for a couple of years). 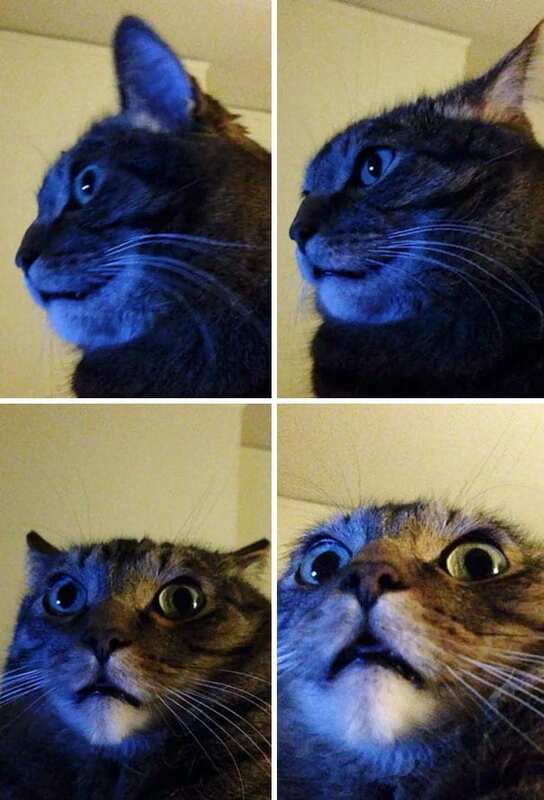 So, it’s fair to say we’ve accidentally opened the front camera without realizing it, and been pretty shocked by what faced us – quite literally. 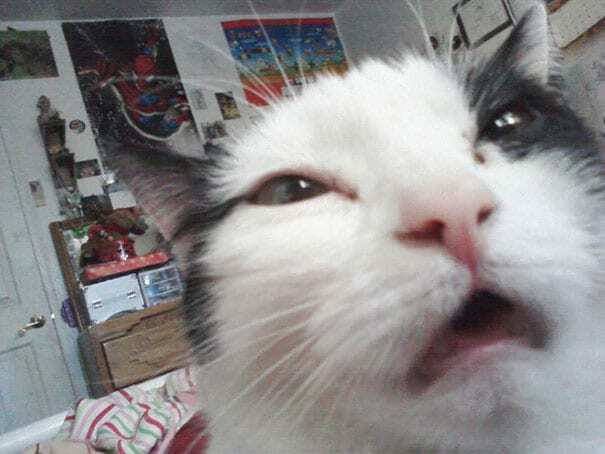 This cat perfectly sums up the stages of opening the front camera, going from calm and collected to ERHMAGAAAAD. If you love pets, you probably want to fill your home with all kinds of animals (because who doesn’t want their own personal zoo?) However, most of us will probably buy a new pet without really thinking about how it will affect your current pets – which is what this family did. The pug was having a perfectly nice life. He was happy, he was content, and then his mom and dad just had to bring a cat into the mix, didn’t they?! 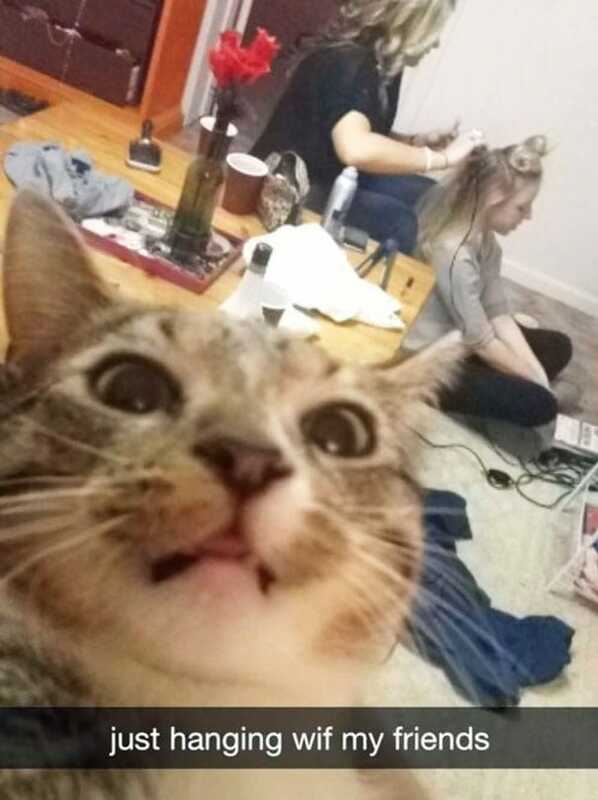 His face says it all. Taking a selfie is a big deal. You have to get everything around you just right, you have to make sure your hair is looking on fleek, you have to make sure your makeup hasn’t run and make sure your teeth have been brushed – and we try, we really do. 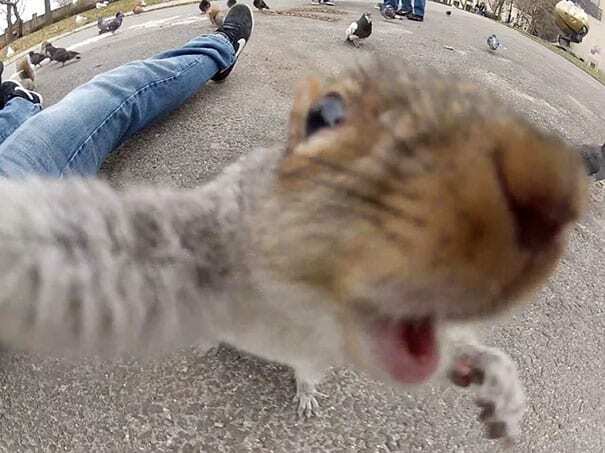 However, remembering all of the steps that make up the perfect selfie can be pretty difficult. 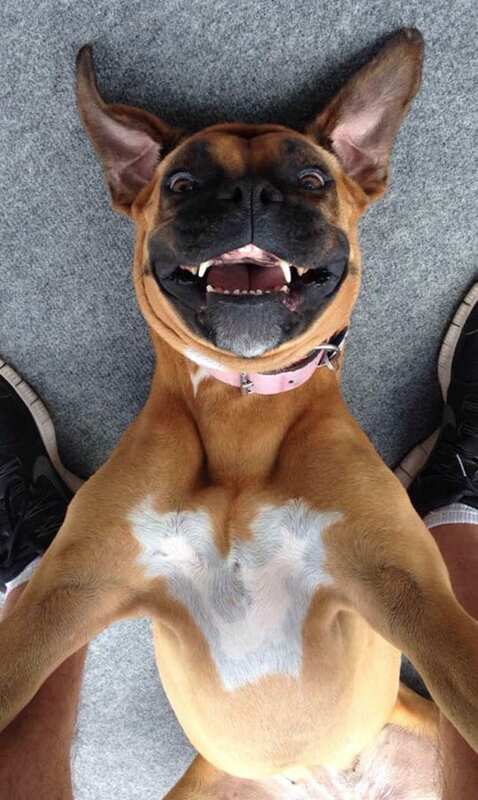 Instead, most of our selfies end up looking like this dog, the derp. (He’s still super cute, though). The best part of being a dog is you get pampered all day, erryday – and that’s the dream, right? Dogs also live the high-life, as their owners get them to tag along for all of their epic adventures. 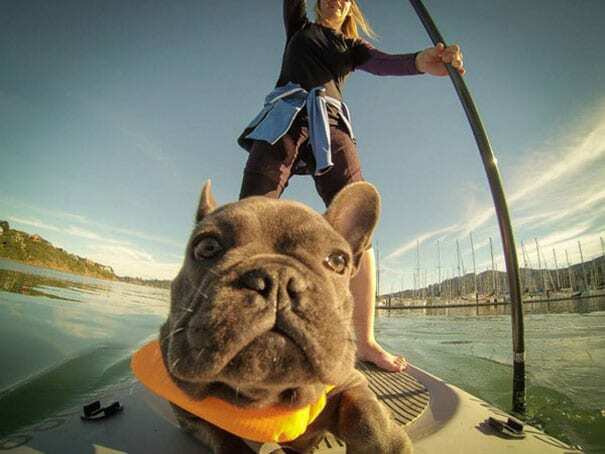 This adorable bulldog had the best day ever when his owner decided to take him paddleboarding with her, and we love how well he’s looked after. He’s got a little lifejacket, and he doesn’t have to do anything – he’s just in charge of taking the photos. If you live in the city, you’ll know there’s nothing better than getting out of the hustle and bustle and taking a trip to the countryside. 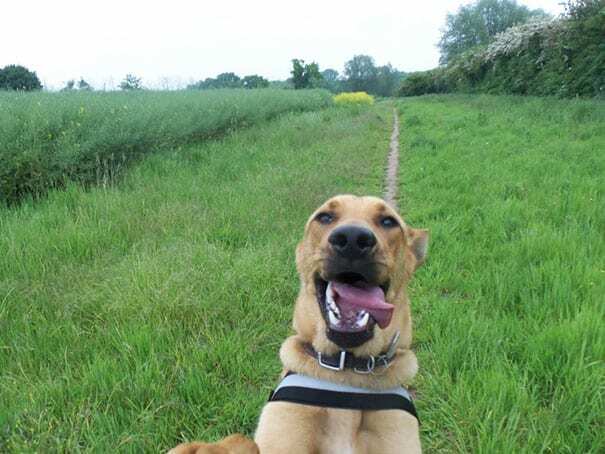 You get to explore the great outdoors, smell a wealth of fresh air, frolick in the fields and just have a whale of a time – just like this doggy. However, the fresh air can sometimes go straight to your head and render it impossible to take a serious photograph. Oh, well. Who cares?